The Battle Fairy rewards you for the number of Trading Cards you have collected. Deposit and save your BP at this bank and earn daily interest. Vote for the colour of pet you think should get double education stats next week. Vote for the colour of pet you think should get double training stats next week. Buy glasses for your wardrobe and dress up your doll. Golem rewards each of your pets for training their balance stats. Visit the Decapitating Fairy for free once every 16 hours for a prize or lose your pet's head. King Baspinar gives you free prizes the longer you have been playing Marapets. Battle for the Knutt Knight and receive BP and diamonds to use in the Elite Gym. Complete a list of goals to enter our free prize draw to win Account Upgrade credit. Spend your BP on rare items for sale in Rapunzel's Tower. Vote for the shop you would like to have a 2 for 1 sale next week. Play the sword in the stone game for 25BP once every 10 minutes to try win the jackpot. 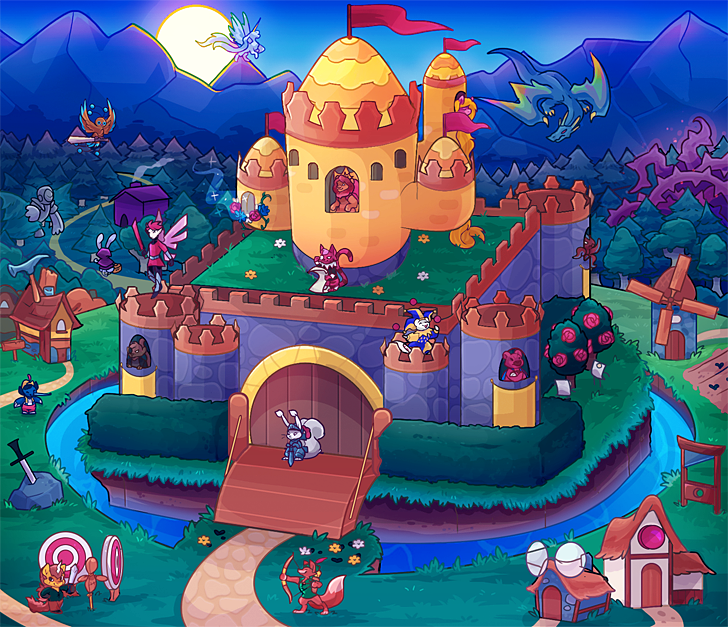 Complete Trunx's Theatre mission for a limited edition Phanty pet. Play the free Tombola game once every 8 hours to win a prize. The Troll is closed during Marada day time hours. Visit the Vault if you have a secret code for a free prize. Win a retired Trading Card every Tuesday if you win the most battles.